I’m kind of a coffee geek: I roast my own beans, for example. 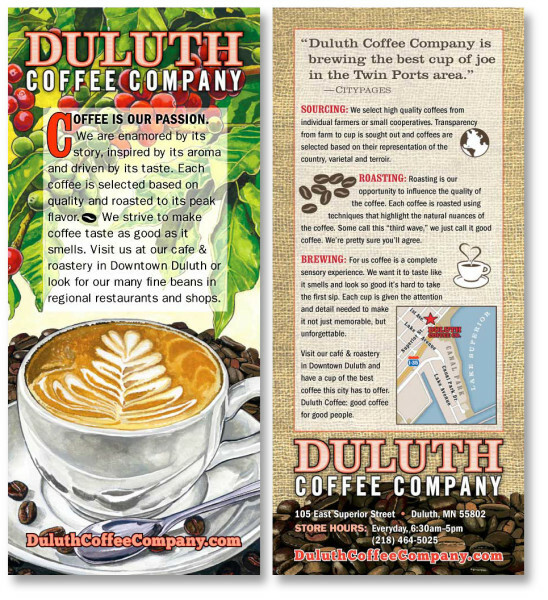 Until Eric Faust brought Duluth Coffee here (and started selling me his green beans), I had to source mine on the internet. Somehow, because of this rack card, I now get to walk behind the counter and pull my own shots (much to the amusement of the café’s actual baristas). Thanks, Eric!